As all of these species were introduced to New Zealand from elsewhere there is little sympathy nationally for any of them and their control and eradication has been a key component of conservation and animal health management in this country for decades. Thanks to the work of many we can control and even eradicate many of these species at increasingly large scales. The success of these programs has seen a variety of ‘pest-free’ offshore sanctuaries formed, such as Kapiti Island and the Orokonui mainland sanctuary where many native species, including kiwi, kōkako, and kākā now have a realistic chance for population persistence and recovery. Pest control with current technologies over significant spatial scales is possible, but it’s time-consuming and expensive. The best tool we currently have for large-scale pest control is 1080 (sodium fluoroacetate). It is aerially deployed, with precision, at the lowest amounts required to keep pest species in check so that our native birds and other species stand some chance of survival, and it rapidly breaks down in the environment. The case of 1080 use is well established and it works – where it is used our native species are recovering, where it is not they die, it really is that simple. While 1080 is the best tool we currently have in our ongoing battle with mammalian pests, we are constantly seeking improvements to our pest control toolkit. As a nation, we are currently investigating approaches that are more humane, species-specific, and that provide persistent control across large areas without the ongoing cost of deployment. Among this list of new tools, genetic control technologies are promising approaches that might help us meet that goal. The most direct approaches currently being explored are species-specific toxins. Essentially, we look for genetic or biochemical features unique to the species we wish to control so that we might identify toxins that will only work only on that species or its close relatives – think of it as a biochemical Achilles heel. To date, there are promising ‘species-specific’ toxins identified for stoats and rats. However, it will likely take many years before such substances can be proven to be specific and approved for use in our environment. Another approach we have tried in the past is immunocontraception, where the immune system of the animal is effectively tricked into attacking its own eggs or sperm, rendering it infertile. This approach works, but deployment of such technology is tricky and resistance is predicted to arise relatively quickly so the idea was dropped around 2008. Newer approaches are now being explored to introduce infertility into natural populations, which would control population growth and potentially lead to extinction. One of these is the Trojan Female Technique (TFT). TFT harnesses a set of naturally-existing mutations we have identified in the energy-producing mitochondria that affect male, but not female fertility, and uses these for population control. It is species specific, reversible, uses no genetic modification, and we have shown it works in flies, albeit weakly. TFT is a promising approach, but realistically it is years away from being useful for environmental pest control context. While many species are predicted to have such mutations, it is currently a lot of work to find them, and it would be ideal if we could introduce such mutations using e.g. gene editing, but editing the high-copy mitochondrial genome (mtDNA) is extremely challenging. Only a couple of groups in the world have thus far edited mtDNA and we are actively exploring approaches to do this in flies. Perhaps the most promising new approach to pest eradication now emerging are so-called ‘gene drives’ that promote the inheritance of a particular gene to increase its frequency in a population. Most of us will recall that, for the most part, we receive half of the copies of our genes from each parent. However, a gene drive distorts that rule promoting the inheritance of a particular copy of a gene to an individual’s offspring. That distortion in and of itself is relatively harmless, but if you can couple that distortion in inheritance to a genetic trait that affects an individual’s survival or ability to reproduce you have the beginnings of a powerful tool that can be used to elicit control of population growth and persistence, i.e. you have a tool that could be used for population regulation or even eradication. The idea of gene drives has been around for about 20 years. However, in the last few years it has catapulted into reality with the discovery of a new gene-editing system CRISPR/Cas9 than can be used to drive itself and a particular trait through populations with startling speed — from generation to generation up to 90% of offspring will inherit the gene drive. So far, ‘gene drives’ have been developed in yeast, fruit flies, mosquitos and recently mice. These show promise but there are numerous issues to technological, social and legal issues we need to address before such technology will be deployable for the control of any pest species. The first, and most important, is the social acceptability of this technology, which will undoubtedly be governed by multiple things including the perceived benefits versus threats. We will need to do a lot of work over coming years to quantify the risks and benefits of such strategies to inform the discussions we must have nationally and internationally before this work develops much further. From a technological perspective, the key challenge is to develop gene drives that are not only efficient and persistent, but also controllable and safe. Work in insects will lead the way, and may be ready for trials within the next year or so internationally. However, work in mammals will lag a long way behind. The first mouse gene drive published last month is not remotely as efficient as the first Drosophila gene drive published in 2015. I suspect it will be ~5 years before we have any form of mouse gene drive system ready for trials, and that is with multiple international initiatives focused on that task. Genetic control solutions for our species, rats, possums and stoats are a long way off. While genetic engineering of mice is well established, we are much less able to genetically engineer rats. 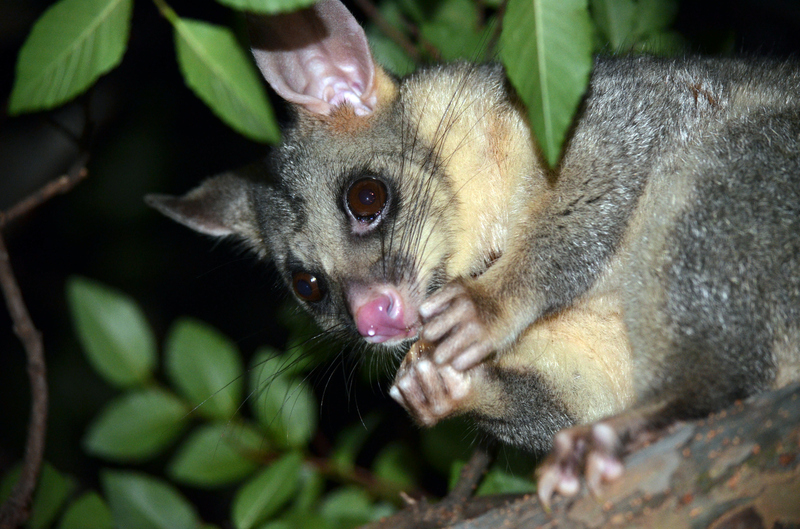 Genetic manipulations of possums, stoats and other pests will be more of a challenge than many people anticipate, requiring specialist expertise and knowledge of the biology of these species that we currently lack. It is exceeding unlikely that gene drives developed for mice will work in these other species so each will require a boutique solution. Thus, the last issue is one of logistics and funding. If we are serious about Predator Free 2050 and wish genetic technologies to be part of the solution we need to step up the conversations, increase our investment, and start planning out what the workflow for this project would look like over the next decade plus. If we start today we need months to plan, several years in the lab, and years for controlled field trials, before eventual deployment at landscape scales. It will take massive effort and years to achieve eradication of possums, rats and stoats (recent models on some hypothetical, ideal, gene drives suggest 20 years from deployment to eradication). This is the New Zealand version of the Space Race and we need commitment and resource aplenty if we are to achieve it. It can be done, but whether we have the resolve to resource this appropriately and see this through to completion remains uncertain. Neil Gemmell is a Professor in the Department of Anatomy at the University of Otago. He has or is currently being funded subcontracts from MBIE and the Biological Heritage National Science Challenge to explore genetic pest control solutions including the Trojan female technique and gene drives.